HCOs are rethinking how EDs work to improve patient satisfaction and improve outcomes. In emergency departments, certain factors can negatively affect patient outcomes and satisfaction. A recent study of crowding and long wait times, published in the journal Annals of Emergency Medicine, demonstrates a clear correlation between them and a decline in the quality of care. According to statistics from the Centers for Disease Control and Prevention, only about 29 percent out of 130.4 million patients visiting an ED each year experience short wait times. A long wait has the potential to limit patients’ access to care, delay necessary treatment, lower the level of satisfaction, and increase the risk of complications and other negative outcomes. Not only are wait times dauntingly long, but they’re not improving at the national level. The median length of stay for patients treated in the ER and then discharged was 138 minutes, according to data for October 2015 to September 2016 submitted to the U.S. Centers for Medicare and Medicaid Services. Researchers analyzing wait times in 2006 found virtually the same median. When researchers from the Oregon Health & Science University (OHSU) developed a set of guidelines for reducing ED overcrowding and wait times, they saw that at top-performing hospitals, initiatives to reduce crowding were a priority at the executive leadership level. What are some of the strategies HCOs are using as they rethink how their EDs work? Some are large-scale changes that require management readiness and support, and, sometimes, hiring additional staff. But this isn’t always possible. 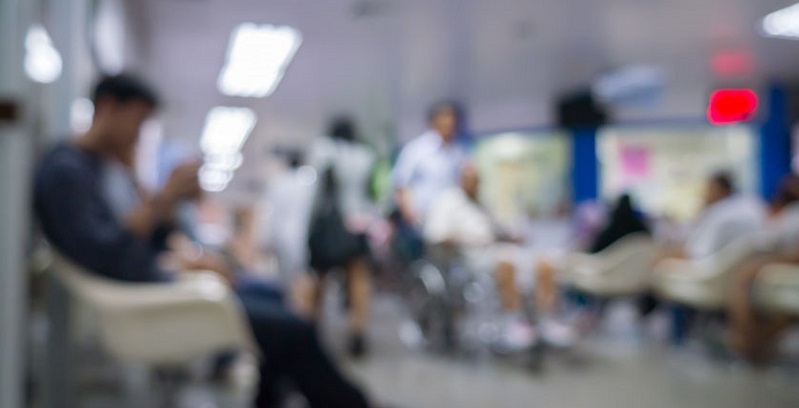 Many emergency departments around the country have long been based on the triage system, but some are scrapping the process and placing patients directly into exam rooms to cut down on wait time and repetition. This allows processes to be launched at the same time, from registration to seeing a physician to discharge. One great example is the Cambridge Health Alliance, which overhauled its procedures, cutting wait times roughly in half. Lowering bed turnaround time is one way departments can work together to streamline the process of getting patients admitted from the ED to the hospital. A study conducted at Toronto Western Hospital, an academic tertiary care center in Toronto, Canada, looked carefully at processes and found a number of factors that could be adjusted. These included, for example, improved communication, better organization of patient transportation, and cleanup between patients. By the end of the study, in the post-intervention phase, time-to-bed for the 90th percentile of high-acuity patients decreased from 120 minutes to 66 minutes. According to the HealthCare Executive Group’s annual survey of leaders of health systems, health plans, and related associations, clinical and data analytics will be the top challenge faced by the health care industry in 2018. Collecting and using actionable data should be a high organizational priority for HCO leadership. But, analytics on its own isn’t enough. It must drive what happens at the operational level, in transactional systems like scheduling, billing, and CPOE. EDs that get this right will be able to use their analytics to understand patient-flow patterns and streamline processes, meeting demand with matching resources and improving performance. Understanding and managing ED performance in terms of quality, efficiency, and patient experience is vital to the transition to value-based care. By using the right data analysis tools, HCOs can unlock the power of the data they’re already collecting to optimize performance and streamline their EDs. Want an inside look at the most powerful emergency department analytics solution available? Contact d2i for more information or to schedule a 30-minute demo.